Those of you who’ve been playing video games for a while now (say, 10-plus years) probably remember a time where people made fun of Capcom’s Monster Hunter series. It was weird, and so very Japanese, and yet now everyone’s taking inspiration from it—The Witcher 3 had some vaguely reminiscent moments, there’s the God Eater ports from last year, Horizon: Zero Dawn on the PlayStation 4 later this month, and (from a much smaller studio) Dauntless later in 2017. I went hands-on with the latter earlier this week and while it’s still very rough—”clipping through the side of a monster’s leg” rough—there’s an undeniable appeal to fighting something much bigger than yourself. Or two of them, actually. I went back-to-back rounds with the developers, once against the Shrike and once against Pangar. The first is a massive owlbear creature, which you can see in the game’s debut trailer. The second is some sort of lizard-armadillo that rolls around and tries to crush you. Oh, and occasionally if you’re not careful it envelops itself in ice and starts launching icicles at you. Combat at the moment is mostly three variations of hack-and-slash based around whether you’ve chosen a sword, axe, or hammer (a.k.a. slow, slower, and slowest). Circle behind the animal as best you can, hit it in the back, dodge out of the way, repeat. I’m hoping for more options in the release, with both weapon types and special maneuvers. Or, hell, what I really want is a climbing system similar to Dragon’s Dogma—that game is janky, but sets the bar high as far as monster-fighting games go. 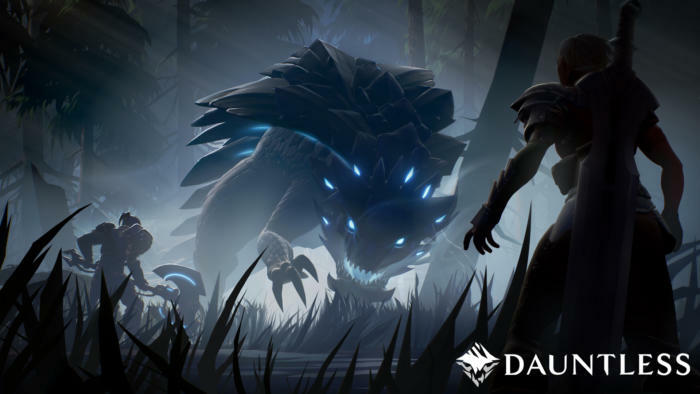 Dauntless is a fine proof-of-concept at the moment though. It’s got localized damage, and we managed to chop off Pangar’s tail during my demo, reducing the breadth of its attacks and giving ourselves a bit of a respite. I was told you can also localize damage to the face or horns for instance, with predictable results. The Shrike is even more impressive, at least visually. It made for an ominous figure, propelling itself into the air, silhouetted against the sky and with its fifteen-foot wings churning up dust. That sort of dynamism reminded me a lot of The Witcher, with its larger monster battles often moving from arena to arena as the monster strategically retreated, rested up, and returned to combat. My biggest qualm is how much we haven’t seen of Dauntless still. There’s a whole character customization aspect, both appearance and weapons or abilities, that isn’t in this build. We picked pre-built characters and dove in, which doesn’t give me a good idea of how these battles would be strung together or what else there is to the game. I was told that players will hang out in a social hub in between fights, with 40 to 60 players breaking off into groups of 4 to go take on monsters. Then you can use bits of each creature to craft new gear, a la Monster Hunter. We’ll see. 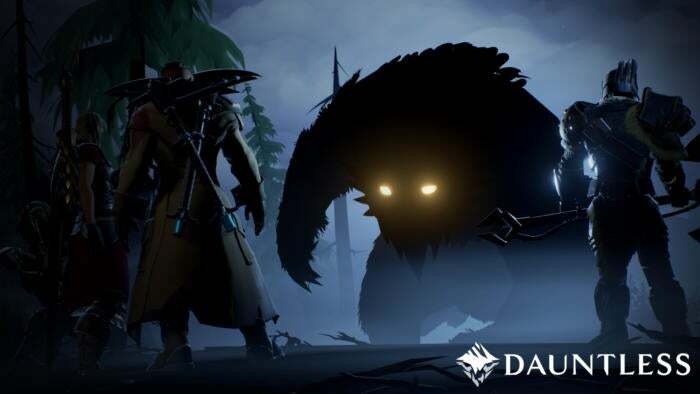 Dauntless is maybe-sort-of-kinda-possibly scheduled to enter beta sometime in the fall, though anyone at PAX South this weekend will get the chance to go hands-on with the same preview build I saw. It’s rough, sure, but the PC could use a few more Monster Hunter-like games.